Antonina Pakharenko-Anderson, Managing Partner of Pakharenko and Partners, due to her high professionalism, significant contribution to the dynamic growth not only in professional sphere but also in the public and social and political life of the country, was recognized one of most successful female lawyers in the Ukrainian legal business according to Ukrainian Women in Law 2019, a research which has been held for the fourth time by Yurydychna Gazeta (the Legal Newspaper). According to World’s Leading Trademark Professionals 2019, the research conducted by World Trademak Magazine and aiming to shine a spotlight on the firms and individuals that are deemed outstanding in this critical area of practice, Pakharenko and Partners affirmed their leading position in the market, having been named among the “golden” Ukrainian firms. According to the clients’ feedback, the company is “a great choice for international clients,” Pakharenko & Partners is “one of the most respected IP firms in Ukraine”. “It has vast experience and deep IP knowledge of all things trademark and maintains a leading anti-counterfeiting and enforcement practice.” The enduring success of the organisation is down to Antonina Pakharenko-Anderson, an “unbelievably good practitioner” who helps set the IP policy-making agenda in the country. Much credit also goes to Alexander Pakharenko, a protean professional who delivers crisp results from the trademark office and in the courts. Also, Antonina Pakharenko-Anderson and Alexander Pakharenko are included in the “Gold” band of professionals in the individual ranking of WTR 1000 – 2019. Pakharenko and PartnersIP and Law Firm was recognized the absolute winner in the nomination “The most socially responsible law firm” according to the All-Ukrainian research program PLS Top Teams 2018 by the Legal Practice Journal. The Company has also entered the Silver League of winners according to the ranking of leading departments responsible for promotion of legal services (PLS Top Teams) and won an award in this nomination. Pakharenko and Partners was also included in the ranking “Market Leaders: TOP-50 of the Ukrainian Law Firms” prepared by the Yurydychna Gazeta (The Legal Newspaper) thus confirming its professional positions. The results of the annual ranking “50 Leading Ukrainian Law Firms” (TOP-50) have been published by the Legal Practice publishing house. According to the ranking results, Pakharenko and Partners uncessantly entered the TOP-50 leading Ukrainian law firms according to the number of highly professional lawyers, financial effectiveness and amount of revenues from services rendered. According to the annual survey “Ukrainian Law Firms 2018. A Handbook for Foreign Clients” published by Yuridicheskaya Practika Publishing, Pakharenko & Partners IP and Law Firm again has held top position among the Ukraine’s leading IP law firms. The company’s managing partner Antonina Pakharenko-Anderson was traditionally included in the list of “Authorities” as a professional that reached explicit recognition. Alexander Pakharenko, partner, is listed as a second-best professional among five leading IP lawyers in Ukraine in the ranking titled “Leading Individuals”. Olena Shamrina, partner, and Evgeniy Kompanets, deputy head of Legal Department, were also named among 20 notable lawyers in this category. The team members Olena Shamrina, Evgeniy Kompanets, Olga Kotsyubalska, Volodymyr Sysiuk, Anastasia Mindrul have been recognized as highly qualified lawyers. The results of the research The Best Lawyers in Ukraine 2019 have been published by theinternational ranking agency – Best Lawyers. The company’s partners Antonina Pakharenko-Anderson and Alexander Pakharenko were again named among the Ukraine’s best lawyers in Intellectual Property Law. This May the results of the Managing Property’s Top 250 Women in IP 2018 ranking were published. As result of the rigorous research the company’s Managing Partner, General Director of Pakharenko and Partners IP and Law Firm, Doctor of Laws, Ukrainian patent attorney No. 4, Antonina Pakharenko-Anderson was named among the world’s leading female IP practitioners. Prestigious award and recognition in the market: Pakharenko and Partners IP and Law Firm has once again been recognized as the firm of the year in IP according to Legal Awards 2018 ranking carried out annually by the Yuridicheskaya Praktika (Legal Practice Journal). According to the results of the international ranking The Legal 500 Europe, Middle East & Africa 2018 published early in April, Pakharenko and Partners IP and Law Firm have been traditionally listed among the Top-Tier Firms in Intellectual Property. The company’s partners, Antonina Pakharenko-Anderson, Alexander Pakharenko and Olena Shamrina, have been recognized as leading individuals in this field. Year after year the company is confirming its high professional status and reputation achieved due to its experienced and highly-qualified team. This is an important and significant award. Pakharenko and Partners was named among Band 1 IP law firms according to one of the most authoritative rankings – the Chambers Europe 2018 – sharing the leadership position with three two other firms. Based on the results of the research carried out by Chambers & Partners in various areas of law and encompassing the activities of law for the year that passed, the company was recognized as one of the best Ukrainian law firms in the intellectual property field in 2018. The company’s partners were included in the list of ranked lawyers. Alexander Pakharenko, partner of Pakharenko and Partners, Attorney-at-Law, Ukrainian Patent Attorney and Director of the Ukraine Alliance Against Counterfeiting and Piracy is mentioned among Band 2 lawyers, and Antonina Pakharenko-Anderson, Managing Partner, General Director of Pakharenko and Partners IP and law firm, Doctor in Laws, Ukrainian Patent Attorney is named as an Eminent Practitioner. In March 2018 the results of IP Star 2018 ranking have been released by Managing IP according to which Pakharenko and Partners has traditionally held еру leadership position (included in the list of Tier 1 firms) in patent contentious, patent prosecution, trademark contentions and prosecution. As result of the annual survey Ukrainian Women in Law 2018 of Legal Practice Journal (The Yuridicheskaya Praktika) Antonina Pakharenko-Anderson, Managing Partner, General Director of Pakharenko and Partners IP and law firm, was again named the most successful female lawyer in the Ukrainian legal business. As result of this year’s ranking of World’s Leading Trademark Professionals (WTR 1000) published by World Trademark Review and focused on the companies operating in the field of trademarks protection, the IP and Law Firm “Pakharenko and Partners” has confirmed its leading position in the market by being listed among the “golden” Ukrainian firms. As stated in the editorial comments to the ranking, “Pakharenko & Partners is one of the most respected IP firms in Ukraine – a real market leader.” Rigged out to support clients on the full spectrum of trademark matters from filing through portfolio management to enforcement, the firm is truly an ally for all seasons. Alexander Pakharenko and Antonina Pakharenko-Anderson form the heart of the practice. When it comes to combating infringers, nobody equals Pakharenko; he has masterminded countless seizures and has close ties with the customs authorities. Pakharenko-Anderson, meanwhile, is a “phenomenal” professional with “deep knowledge and vast experience” accrued over the course of a glittering career.” Also, in the list of distinguished individuals Antonina and Alexander are named among the “golden” trademark professionals. The results of the annual ranking “50 Leading Ukrainian Law Firms” (TOP-50) were published in December by the Legal Practice publishing house. According to the ranking results, Pakharenko and Partners was included in the list of the leading Ukrainian firms according to the number of highly professional lawyers and entered TOP-50 according to financial effectiveness and amount of revenues from services rendered. Pakharenko and Partners was named the most socially responsible law firm according to the results of the All-Ukrainian research program PLS Top Teams 2017 by the legal Practice Journal. Pakharenko and Partners has confirmed its top positions also in 2017 as showed by the results of the ranking research published by The Yurydychna Gazeta (The Legal Newspaper). Namely, due to the well-coordinated work of its professional team the company managed to confirm its top position in the nomination “Practice Leaders 2017” in the field “Copyright and Intellectual Property Rights Protection” and hold a 25-th place in the ranking “Market Leaders: TOP-50 of the Ukrainian Law Firms”. Pakharenko and Partners was ranked among ‘Gold’ firms in IAM Patent 1000 2017 – The World’s Leading Patent Professionals. The company’s managing partner Antonina Pakharenko-Anderson and partner Alexander Pakharenko were listed among highly recommended professionals distinguished on the market. The company’s managing partner Antonina Pakharenko-Anderson was recognized as one of the leading female IP practitioners according to the new ranking The Top 250 Women in IP published by the authoritative publication Managing Intellectual Property. According to the annual survey of the Ukrainian legal market “Ukrainian Law Firms 2017. A Handbook for Foreign Clients”, carried out by Yuridicheskaya Practika Publishing, Pakharenko & Partners IP and Law Firm held top position among five Ukraine’s leading IP law firms. The company’s managing partner Antonina Pakharenko-Anderson was traditionally included in the list of “Authorities” as a professional that reached explicit recognition. Alexander Pakharenko, partner, is listed as a third-best professional among five leading IP lawyers in Ukraine in the ranking titled “Leading Individuals”. Olena Shamrina, partner, and Evgeniy Kompanets, deputy head of Legal Department, were also named among the notable lawyers in this category. According to the survey “The Best Lawyers in Ukraine”, conducted by the international rating agency Best Lawyers, our company’s partners – Antonina Paharenko-Anderson, Alexander Paharenko and Olena Shamrin – have been named the best IP lawyers are listed among the leaders of this practice in Ukraine. According to the results of the professional rating research “Client’s Choice. 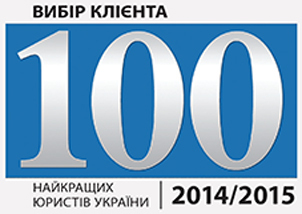 TOP-100 of the Best Lawyers in Ukraine” conducted by The Yurydychna Gazeta together with the Focus Weekly (Ukraine’s annual research into the quality of legal services rendered by Ukrainian lawyers and recognition of the leading ones), in 2017 Antonina Pakharenko-Anderson and Alexander Pakharenko were included in the TOP-100 of Best Lawyers in Ukraine. Within the same rating, Antonina and Alexander are among the leading lawyers in Copyright and Intellectual Property Protection being recommended and proved experts in this field. Pakharenko and Partners was named among the three leading IP law firms in Ukraine by Chambers Europe 2017, one of the most authoritative rankings. Based on the results of the annual research carried out by Chambers&Partners in various areas of law and covering the activity of the law firms for the last year, the firm was recognized as one of the best Ukrainian law firms in the field of IP in 2017. The company’s leading position in the ranking can be attributed to its thriving IP practice handling the full spectrum of IP matters, and most particularly due to its expertise in anti-counterfeiting cases, with experience of representing clients in both civil and criminal proceedings. The team is known for being active in patent, trade mark and domain name matters and often handles IP infringement cases. The company’s clients (including such companies as Siemens, Nike, Chanel, Intel Corporation, Coty Prestige Lancaster Group) say that the lawyers of Pakharenko and Partners “know the environment” in addition to being “very experienced in IP law.” Antonina Pakharenko-Anderson and Alexander Pakharenko are recognized as notable practitioners. According to the clients’ and peers’ feedback, Antonina Pakharenko-Anderson is one of the most respected IP lawyers in Ukraine whose broad practice includes patents, trademarks, copyright and customs issues. She also comes recommended for anti-counterfeiting mandates. Alexander Pakharenko is widely respected for his strong expertise in anti-counterfeiting matters, including criminal proceedings and general litigation. He handles contentious and non-contentious matters and is especially active in IP infringement cases. According to the results of this year’s Legal 500 Europe, Middle East & Africa 2017 ranking produced by The Legal 500, one of the most authoritative international directories of law firms, Pakharenko and Partners IP and Law Firm was traditionally named as a TOP-TIER FIRM in Intellectual Property in Ukraine. The firm’s high reputation owes to ‘experienced and knowledgeable’ team under the leadership of Antonina Pakharenko-Anderson, Alexander Pakharenko and Elena Shamrina as highly recommended IP professionals in Ukraine. Editors’ comments state that Pakharenko and Partners law firm receives very positive feedback from the clients. In March the results of the IP Stars Rankings for Patent and Trademarks prepared by Managing IP have been released. According to the ranking results Pakharenko & Partners has traditionally been named among the leading Ukrainian firms in such categories as patent contentious, patent prosecution, trademark contentious/copyright and trademark prosecution. The company’s partners Antonina Pakharenko-Anderson, Alexander Pakharenko and Elena Shamrina listed among the IP Stars, leading lawyers in the field of IP. According to the results of the survey Ukrainian Women in Law 2017 conducted by The Yurydychna Gazeta, the company’s managing partner Antonina Pakharenko-Anderson was named the most successful female lawyer in the Ukrainian legal business and was included in Top-12 of the publicity ranking. According to the latest edition of World Trademark Review 1000 – World’s Leading Trademark Professionals focused on the companies operating in the field of trademarks protection, the IP and Law Firm “Pakharenko and Partners” continues to hold the highest position in this prestigious ranking and is classified as one of the “gold” firms of Ukraine thanks to the teamwork of more than 20 highly qualified lawyers headed by the managing partner Antonina Pakharenko-Anderson and the partner Alexander Pakharenko. In their comments the researchers point out that Antonina Pakharenko-Anderson “is held in the highest regard for the favourable outcomes she secures; while Alexander Pakharenko brings a wealth of A-to-Z trademark know-how to the table”. In the end of November the results of the annual ranking “50 Leading Ukrainian Law Firms” (TOP-50) were published by the Legal Practice publishing house. The company has been ranked in this publication for several years already. It is included in the lists of the leading Ukrainian firms according to the number of lawyers, financial effectiveness and amount of revenues from services rendered during the last 12 months. In the ranking of leading law firms by practice areas which is based on the voting by peer companies, Pakharenko and Partners’ team has taken the silver and was named among five leading Ukrainian companies in IP. In September Pakharenko and Partners became one of the practice leaders in “Copyright and IP protection” and have also taken the golden mean in TOP-50 of the “Market Leaders –Law Firms Ranking 2016” according to the results of the new ranking research “Market Leaders: Ukrainian Law Firms Ranking” published by The Yurydychna Gazeta (The Legal Newspaper). On the occasion of the Entrepreneur’s Day the founder and managing partner of Pakharenko and Partners IP and Law Firm Antonina Pakharenko-Anderson received a Commendation from the State Regulatory Service of Ukraine. In May and June 2016 the Law Business Research Ltd published its guides titled Who’s Who Legal: Trademarks 2016 and Who’s Who Legal: Patents 2016. The research which preceded publication of the guides revealed leading trademark and patent experts from different jurisdictions all over the world. Antonina Pakharenko-Anderson and Alexander Pakharenko were named among three leading Ukrainian trademark professionals, and Antonina Pakharenko-Anderson was also recognized as one of three leading patent experts in Ukraine. Pakharenko and Partners are the winners in the nomination “Law Firm of the year 2016 in Intellectual Property” and Alexander Pakharenko, Partner of the firm, named the best IP lawyer in 2016. These are the results of the annual research carried out within of the “Yuridicheskaya Praktika” Legal Awards ranking. Pakharenko and Partners was named among the three leading IP law firms in Ukraine by Chambers Europe 2016, one of the most authoritative rankings. Based on the results of the annual research carried out by Chambers&Partners in various areas of law and covering the activity of the law firms for the last year, the firm was recognized as one of the best Ukrainian law firms in the field of IP in 2016. The company’s leading position in the ranking can be attributed to its thriving IP practice handling the full spectrum of IP matters. According to clients, the team’s strength is in its “pragmatic approach and responding in the way client likes”. Among the notable practitioners the Managing Partner Antonina Pakharenko-Anderson is recognized for her in-depth knowledge of all IP matters, especially counterfeit and anti-piracy issues and protection of IP rights. Alexander Pakharenko, Partner, has won high reputation among the clients by providing thorough advice on a wide range of IP services, including obtaining, managing and defending intellectual property rights, and also for his performance in criminal counterfeit and anti-piracy proceedings. Pakharenko and Partners recognized as one of the best IP law firms in Ukraine according to Companion magazine. The results of this year’s Legal 500 Europe, Middle East & Africa 2016 ranking produced by The Legal 500, one of the most authoritative international directories of law firms, have been released recently. According to the ranking Pakharenko and Partners IP and Law Firm was again named as a TOP-TIER FIRM in Intellectual Property in Ukraine. The firm’s high reputation owes to ‘experienced and knowledgeable’ team under the leadership of Antonina Pakharenko-Anderson, Alexander Pakharenko and Elena Shamrina as highly recommended IP professionals. The ranking also includes the list of the leading Ukrainian IP practitioners among which Antonina Pakharenko-Anderson and Alexander Pakharenko are named. In early March the results of the 2016 IP Stars Rankings for Patent and Trademarks prepared by Managing IP have been released. According to the ranking results Pakharenko & Partners has been again named among the leading Ukrainian firms in such categories as patent contentious, patent prosecution, trademark contentious/copyright and trademark prosecution. The company’s partners Antonina Pakharenko-Anderson, Alexander Pakharenko and Elena Shamrina listed among the IP Stars, leading lawyers in the field of IP. According to the results of the Ukrainian Women in Law 2016 survey produced by The Yurydychna Gazeta (The Legal Newspaper) General Director of Pakharenko and Partners IP and Law Firm, Antonina Pakharenko-Anderson was named among three leading women lawyers who influenced the development of legal business in Ukraine. She was recognized as one of the most successful women lawyers in the Ukrainian legal business sector, and occupied the rightful place in the publicity ranking. In February at the 3rd International presentation of the 15th anniversary “Financial Services Yearbook 2015” published by “Ukraine Business” Publishing House, Pakharenko & Partners IP and Law firm was awarded a honorary diploma of the winner of the international award “Reputation of the operators of financial services market”, received a personalized award trophy, while the General Director of the company, Antonina Pakharenko-Anderson, was named the winner of the ranking “Top Managers of Successful Companies 2015”. According to the results of the WTR 1000 — 2016, research directory to focus exclusively on trademark practitioners, Pakharenko and Partners was again distinguished with the highest GOLD ranking and recognized among the Ukraine’s leading trademark legal services providers. The firm is characterized by the clients and researchers as “supremely strong at prosecution and unfair competition work”. Antonina Pakharenko-Anderson is recognized as an expert that “has a laser focus on intellectual property and brings valuable patent knowledge to the table” while Alexander Pakharenko is noted to be “at the vanguard of the fight against fakes; whenever his name is mentioned, it is met with hearty applause”. On December 1, 2015 the results of the annual ranking “50 Leading Ukrainian Law Firms” (TOP-50) was announced. According to the results of the raking Pakharenko & Partners Law Firm has improved its positions showing a positive dynamics and moving 3 rankings up against the 2014 results. According to the “Ranking of law firms by practice areas” this year Pakharenko & Partners was named among 5 leading companies. According to the profits received by the firm during 12 months (from the 4-th quarter of 2014 to the 3-rd quarter of 2015) from rendering legal services the company was listed among 20 most successful Ukrainian law firms, and among 10 largest firms according to the number of employees. Pakharenko & Partners was also included in the “Ranking of leading law firms according to their financial effectiveness” taking the golden mean. On the occasion of the Entrepreneur’s Day the founder and managing partner of Pakharenko & Partners, one of Ukraine’s leading IP law firms, Antonina Pakharenko-Anderson received the Commendation from the Mayor of Kyiv of September 4, 2015 No. 92388. On June 18, 2015 at the Intellectual Property Forum (IPF 2015) Pakharenko & Partners received a high accolade from the organizers of the Forum, “Yuridicheskaya Practika” publication and the State IP Service of Ukraine, for their outstanding professional achievements, being recognized the “IP Law Firm of the Year”. According to the results of the professional ranking research “Client’s Choice. Top-100 of Ukraine’s Best Lawyers 2014/2015” (the all-Ukrainian annual study of the quality of services rendered by Ukrainian lawyers and recognition of the best professionals in legal sphere), carried out by The Yurydychna Gazeta, Antonina Pakharenko-Anderson was named among TOP 100 of Ukraine’s best lawyers. According to the same ranking Antonina Pakharenko-Anderson and Alexander Pakharenko were included in the list of practice leaders in “Copyright and IPR Protection” as highly recommended and reliable experts in this field. According to the results of the IP STARS 2015 survey of the international publication Managing IP this year again Pakharenko & Partners was recognized as one of the leading Ukrainian law firms in Patent contentious, Patent prosecution, Trademark contentious, Trademark/Copyright prosecution. The company’s partners Antonina Pakharenko-Anderson, Alexander Pakharenko and Elena Shamrina listed among the IP Stars, leading lawyers in the field of IP. Chambers Europe 2015 ranking produced by the reputed British company “Chambers & Partners” names Pakharenko & Partners IP and Law Firm among three leading IP law firms. The guide covers 52 jurisdictions across the Europe and is one of the world’s most reputed publications of this kind. As stated in the publication, the firm’s team is known for an eminent practice handling the full range of IP issues. Notably active in IP infringement and patent restrictions of late, particularly for clients from the pharmaceutical industry. Managing PARTNER Antonina Pakharenko-Andersonis recognised for her long-standing expertise in this area. She is noted for her contributions to IP policy-making. Alexander Pakharenko who heads the firm’s anti-counterfeiting department is mentioned as an expert that advises on licensing and rights enforcement and protection, including contentious matters. As result of the annual legal market overview Legal 500 – EMEA, one of the most authoritative international directories of law firms, Pakharenko & Partners in 2015 has once again been listed among top tier law firms in the field of intellectual property. During this year the company was noted for its anti-counterfeiting activities, Clients characterize the team as ‘professional, reactive and quick’ and particularly praise the company’s partners Antonina Pakharenko-Anderson, Alexander Pakharenko and Elena Shamrina for ‘following up on cases very well’. World Trademark Review 1000 – World’s Leading Trademark Professionals 2015 focused on the companies practicing in the field of protection of trademark rights, this year again lists Pakharenko and Partners among the ‘Gold’ firms of Ukraine. The comments to the ranking state that Pakharenko & Partners is consistently a name on everyone’s lips: “It is certainly one of the strongest contenders on the market, with a particular flair for prosecution.” The firm provides the full suite of trademark services, but has been kept particularly busy with enforcement work of late. Alexander Pakharenko “stands out from the crowd when it comes to anti-counterfeiting know-how”; while “highly skilled adviser” Antonina Pakharenko-Anderson “is really well known in the field and very visible in the IP community”. According to the annual survey of the Ukrainian legal market “Ukrainian Law Firms 2015. A Handbook for Foreign Clients”, carried out by Yuridicheskaya Practika Publishing, Pakharenko & Partners IP and Law Firm was recognized the Ukraine’s leading IP law firm in 2015. The ranking praises the team’s expertise in rendering complex mandates from top European and global clients. Another notable feature of the firm is its strong anti-counterfeiting performance. Antonina Pakharenko-Anderson enjoys her eminent standing within the IP market. Following steady references from peers for his anti-counterfeiting expertise, Alexander Pakharenko is a visible figure in IP circles. In late November the “Yuridicheskaya Praktika”’s annual ranking “50 Leading Ukrainian Law Firms” was published. According to the ranking our company was named among three leading law firms by practice areas, and was also included in the list of leading Ukrainian law firms according to the number of highly professional lawyers in the team and named among 50 leading Ukrainian law firms according to their financial effectiveness and the amounts of profit. In September 2014 Antonina Pakharenko-Anderson, Managing Partner of Pakharenko & Partners received a Commendation of the Prime Minister of Ukraine, Mr. Arseniy Yatsenyuk, No. 17689 of September 2, 2014 “For significant personal contribution in strengthening the Ukraine’s economy and on the occasion of the Entrepreneur’s Day”. In July 2014 the firm received prestigious award from WD-40 Company for the effective team’s performance – an exclusive cup “Award of Excellence”. On June 26, 2014 the company received a high accolade from the organizers of the Intellectual Property Forum (IPF 2014), “Yuridicheskaya Praktika” publication and the State IP Service of Ukraine, being recognized the “IP Law Firm of the Year”. On June 5, 2014 in Paris in the frame of celebration of the World Anti-Counterfeiting Day the ceremony of awarding the winners of the Global Anti-Counterfeiting Awards took place. This award is presented each year to individuals and organizations setting the good example of best practice in this field. The award is sponsored by “Authentication News” published by Reconnaissance International and GACG and it has been presented for 16 years already. In 2014 the Extraordinary Contribution Award was received by John Anderson, Partner of Pakharenko & Partners and the Chairman of the GACG. In May 2014 Pakharenko & Partners was recognized as one of the leading Ukrainian companies in the field of patent contentious, patent prosecution, trademark prosecution and trademark and copyright prosecution according to the IP Stars 2014 ranking prepared by the reputed international publication Managing IP, the most comprehensive and authoritative directory of leading IP firms and lawyers. The names of our company’s partners were also mentioned in the list of the country’s leading IP lawyers as a part of the rating results. According to the Chambers Europe ranking produced by the reputed British company “Chambers & Partners” in 2014 Pakharenko & Partners IP and Law Firm was listed among four leading Ukrainian companies specialized in IP. As stated in the publication, “the team is known for an eminent practice handling the full range of IP issues. Notable activity in IP infringement and patent restrictions, particularly for clients from the pharmaceutical industry”. According to the clients’ feedback, our lawyers are effective and prompt in their communications. Antonina Pakharenko-Anderson and Alexander Pakharenko are mentioned by Chambers & Partners among the Ukraine’s and Europe’s leading IP lawyers for several years already. According to the results of Legal 500 – EMEA ranking prepared by one of the most authoritative international directories of law firms in 2014 our firm was listed as a top-tier Ukrainian law firm working in the field of IP. According to the clients’ feedback, company’s partners ‘Antonina Pakharenko-Anderson, Alexander Pakharenko and Elena Shamrina are renowned litigators in pharmaceutical and regulatory matters’. Another ranking, namely World trademark Review 1000 – World’s Leading Trademark Professionals focused on the companies practicing in the field of protection of trademark rights, lists Pakharenko and Partners among the ‘Gold’ firms of Ukraine. The comments state that the company is considered a “top firm” and its “uniquely extensive experience is its key strength”. The company’s active involvement in the development and improvement of the legislation is also noted. The company manages sizeable prosecution portfolio and is a reliable partner in rendering the full package of services in the field of IP. In April 2014 Pakharenko & Partners received a commendation from the State Enterprise “Ukrainian Institute of Industrial Property” for the significant contribution in the promotion of the state system of protection of industrial property in Ukraine. In 2014 our company became the winner of the “Yuridicheskaya Praktika” Legal Awards in the nomination “Law Firm of the Year in the Field of Intellectual Property”. Based on the results of the 12th annual ranking “Ukrainian Law Firms 2014. A Handbook for Foreign Clients” published by the “Yuridicheskaya Praktika” Pakharenko and Partners was recognized the Ukraine’s leading IP law firm in 2014. The expertise and leadership skills of firm’s manager, Antonina Pakharenko-Anderson, were noted in the ranking. She was recognized as one of the country’s reputed IP lawyers, while Alexander Pakharenko, partner, was named among five Ukraine’s leading IP lawyers. 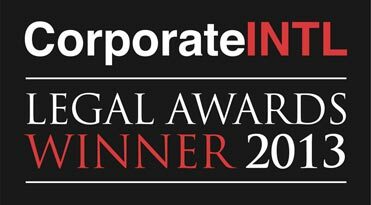 Pakharenko & Partners was named the winner of the 2013 Corporate Intl Legal Award for IP Law Firm of the Year in Ukraine as the result of the research “Corporate INTL Legal Awards 2013”. The firm was listed in the the “Yuridicheskaya Praktika”’s annual ranking “50 Leading Ukrainian Law Firms”. According to the ranking the company was named as one of three leading law firms by practice areas and was included in the list of leading Ukrainian law firms according to the number of highly professional lawyers and also listed among 50 leading Ukrainian law firms according to the financial effectiveness and the amount of profits. The expertise and leadership skills of firm’s manager, Antonina Pakharenko-Anderson, were also noted in the rating. She was named among the Ukraine’s leading IP lawyers. World’s reputed publication Legal 500 listed Pakharenko & Partners in the first tier of Ukrainian law firms in the field of intellectual property. According to the results of Legal 500 – EMEA 2013 research Antonina Pakharenko-Anderson and Alexander Pakharenko were recognized as the leading experts in the field of IP, in particular for protection of patent rights to pharmaceuticals and chemical preparations. The firm has also been named among the leading trademark professionals as the results of the World Trademark Review 1000 ranking. Antonina Pakharenko-Anderson and Alexander Pakharenko are noted for their expertise in litigations, trademark protection and anti-counterfeiting operations. According to the results of the professional ranking “Client’s Choice” (Ukraine’s annual research into the quality of legal services rendered by Ukrainian lawyers and recognition of the leading ones) organized by the “Yuridicheskaya Praktika”, Antonina Pakharenko-Anderson and Alexander Pakharenko were listed among the Top-100 of the Ukraine’s best lawyers. They were also named among the Ukraine’s leading IP lawyers in 2013. Pakharenko & Partners received the International certificate of partnership reliability granted by the Ukrainian National Committee of the International Chamber of Commerce (ICC Ukraine) that is the official confirmation of the company’s recognition as a reliable partner for doing business in Ukraine and abroad. The certificate also confirms that the company may be recommended by ICC and its National Committees in this quality. Chambers Europe 2013 ranking lists Pakharenko and Partners in Band 1 of Intellectual Property category for Ukraine. In particular, Alexander Pakharenko was noted by “Chambers & Partners” publishing house for his personal contribution to anti-counterfeiting and anti-piracy. Alexander Pakharenko was chosen as the winner of “The Legal Award of the Year” being recognized the best IP lawyer in 2013. The award was granted by the “Yuridicheskaya Praktika” based on the results of the research. Pakharenko & Partners as one of the leading patent law firms received the commendation from the State Enterprise “Ukrainian Institute of Industrial Property” for its significant contribution to the development of IP protection system and promotion of innovations in Ukraine. International publication “Corporate INTL” recognized Pakharenko and Partners as the best IP law firm in Ukraine. The company was named the winner in three nominations, namely “Intellectual Property Law, Firm of the Year in Ukraine”, “Copyright Law, Firm of the Year in Ukraine”, “Trademark Law, Firm of the Year in Ukraine”. According to the international ranking “Legal 500 EMEA 2012” Pakharenko and Partners was recognized as a top tier law firm in Ukraine in the field of IP. As result of the research Alexander Pakharenko was included in the list of recommended experts in intellectual property in Ukraine. According to Chambers Europe 2012 ranking Pakharenko and Partners was listed in Band 2 of the IP law firms in Ukraine, while Antonina Pakharenko-Anderson was named one of the leading IP lawyers. As result of the research titled “Ukrainian Law Firms 2012. A Handbook for Foreign Clients” published by the “Yuridicheskaya Praktika”, Antonina Pakharenko-Anderson was listed as the Ukraine’s leading IP lawyer. Also this year the firm was included in the “Yuridicheskaya Praktika”’s ranking “50 Leading Ukrainian Law Firms” and Antonina Pakharenko-Anderson was named among Ukraine’s 5 best IP lawyers. 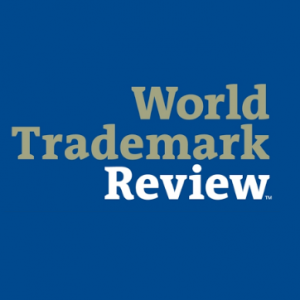 Pakharenko and Partners held leading position in the «World Trademark Review 1000” ranking. Antonina Pakharenko-Anderson received Commendation of the Prime Minister of Ukraine, Mr. Mykola Azarov, No. 15036 of August 28, 2012 “For significant personal contribution to strengthening of the Ukraine’s economy and sharpening market infrastructure”. According to the results of the Legal 500 – EMEA ranking Alexander Pakharenko was listed as one of the recommended experts in the field of intellectual property. 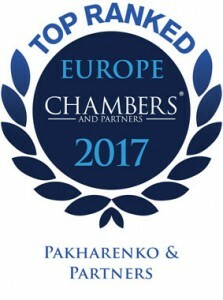 According to the Chambers Europe 2011 ranking Pakharenko & Partners was included in the Band 1 of the companies working in the intellectual property field. Antonina Pakharenko-Anderson was listed among the leading practitioners in the field of IP. Alexander Pakharenko was named a notable figure in the IP. As result of the “World Trademark Review 1000” research Pakharenko and Partners was listed among top tier companies practicing in the IP field. In Chambers Europe 2010 ranking Pakharenko and Partners law firm was included in the Band 1 companies practicing in the area of intellectual property. Antonina Pakharenko-Anderson was included in the list of Top 100 of best Ukrainian lawyers according to the “Client’s Choice” ranking by the “Yuridicheskaya Praktika”. Antonina Pakharenko-Anderson was named among Top 100 of Ukraine’s business ladies according to the ranking of “The Day” newspaper. According to the Legal 500 – EMEA 2009 ranking our company was listed among the Tier 2 companies in the intellectual property field. Antonina Pakharenko-Anderson and Alexander Pakharenko were mentioned to be recommended by the clients. Pakharenko and Partners was also listed in the Band 1 of the companies working in the IP field as result of the Chambers Europe 2009 research; Antonina Pakharenko-Anderson was named one of the leading IP practitioners. In the Legal 500 – EMEA 2008 ranking our firm was listed among Tier 3 companies in the general ranking of Ukraine’s law firms. Antonina Pakharenko-Anderson was recognized as the best IP lawyer in Ukraine according to the ranking of the “Yuridicheskaya Praktika” magazine. Antonina Pakharenko-Anderson became the honoree of the international popularity and quality rating “Zolota Fortuna”. Antonina Pakharenko-Anderson received a commendation from the State Department of Intellectual Property for her dedicated work and high professionalism.